"Wil-Mair Motel - New Port Richey, Florida - C. 1958." 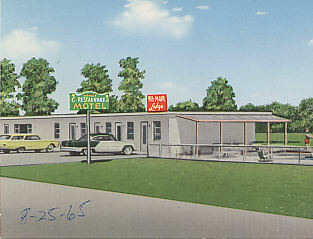 (1848) POSTCARD: Wil-Mair Motel (Restaurant and Tavern) - New Port Richey, Florida - C. 1958. -Condition: Very Good. - Has Not been Posted. Photo of front of motel with cars. There is a date of 8-25-65 written on front and back. Postcard however is older. Price: $2.50 + shipping.